For information about the 2017 QuDoS in MS programme, please visit: www.qudos-ms.com. London, United Kingdom, 05.11.16 – The winners of the 2016 QuDoS (Recognising Quality in the Delivery of Services) in MS Awards were announced on Saturday evening during an awards presentation at the Beaumont Estate, Windsor. The annual awards ceremony – held on the eve of the MS Trust Annual Conference – recognises the contributions made by healthcare providers and individuals to increasing the quality and consistency of care for multiple sclerosis patients. The programme, now in its second year, is a pharmaphorum initiative supported by the MS Trust and sponsored by a number of Life Sciences companies including Sanofi Genzyme, Novartis and Biogen. Another finalist in the Outstanding MS specialist nurse category, Lisa Black of Sussex Community NHS Foundation Trust, was given a Judges’ special award for her dedicated work spearheading support groups for MS patients and her passion for enriching patients’ lives. 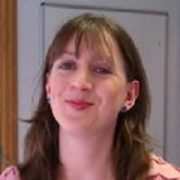 Lisa sadly passed away earlier this year, but according to patients and employer alike, her tireless devotion and enthusiasm for her work left a lasting impression. “Lisa was more than an MS nurse, she was a caring friend,” said one patient. The award for Outstanding allied health professional working in MS – which celebrates contributions made to MS care by professionals distinct from medicine, nursing, or pharmacy – was won by Pam Bostock, a Consultant Occupational Therapist for the Adult Ability Team at Virgin Care. In recognition of his contributions towards the reorganisation and improvement of DMT prescribing and access to MS services in Manchester, Paul Talbot, MS Consultant Neurologist at Salford Royal NHS Foundation Trust was selected for the Outstanding neurologist in MS treatment award. MS services and standards of care are as much about team collaboration and cooperation as they are individual MS champions. The 2016 Multidisciplinary team of the year award was given to the Community Neuro Rehabilitation Service of CSH Surrey. The award for Information in practice: outstanding use of information and shared decision making in MS care – which recognises the importance of high quality information to support people affected by MS in making the choices that are right for them – was given to Natalie Thompson and Emily Whisker, of Ashford and St Peter’s Hospitals NHS Foundation Trust. In today’s data-driven world, the application of evidence to improve clinical practice, delivery of services and of course the patient journey, plays a key role in healthcare delivery. Recognising their outstanding contribution to this cause, the Evidence in practice: using audit, evaluation or research to improve user experience/outcomes of care trophy was awarded to the Greater Manchester Multiple Sclerosis Team, Salford Royal NHS Foundation Trust. New for 2016 was the award for Innovation in practice: improving primary care or community services for people with MS. This award celebrates innovative approaches to primary care and the provision of MS services outside of a hospital setting. For their work on ‘Making Samson Stronger’, the inaugural Innovation in practice award was given to the team at The Samson Centre for Multiple Sclerosis. 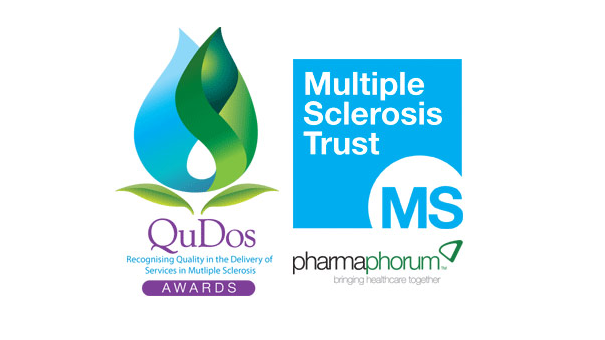 Further information on all of the 2016 finalists and their work will be featured on the QuDoS website (www.qudos-ms.com) within the coming weeks. In the meantime, for more information on the awards ceremony, judging panel and shortlisted finalists, visit www.qudos-ms.com. pharmaphorum media is delighted to be working in partnership with the Multiple Sclerosis Trust as part of its pharmaphorum healthcare partners brand. The programme has been co-funded by Biogen, Genzyme and Novartis.